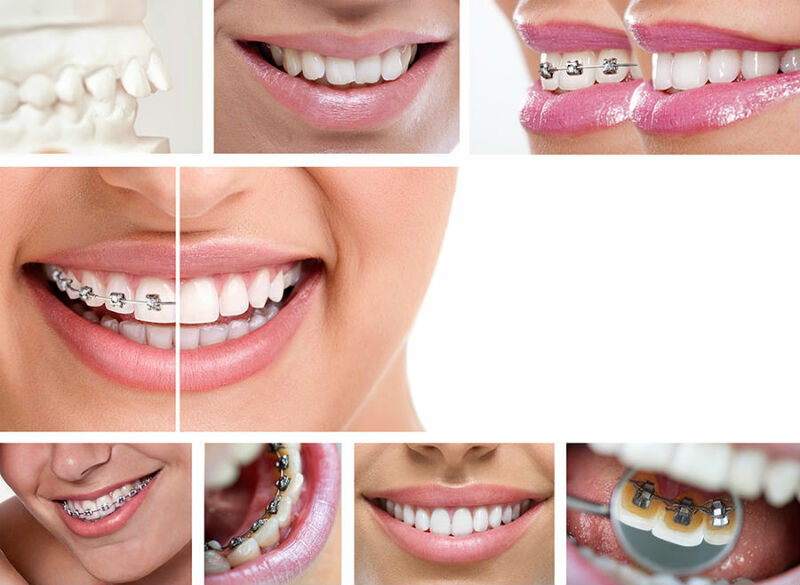 Using clear brackets and tooth-colored nickel-titanium wires, Six Month Smiles braces can treat a variety of orthodontic problems that affect the cosmetic appearance of the teeth. The combination of low-movement forces and short overall treatment time increases patient comfort, safety and oral hygiene, making Six Month Smiles ideal for patients who want the cosmetic straightening benefits of braces but who do not need more complex corrections to their bite or occlusion. Six Month Smiles Procedure: What’s Involved? During your consultation, orthodontist will perform a comprehensive examination of your teeth, gums and oral health to determine if you are a candidate for Six Month Smiles. This will involve taking X-rays, intraoral and facial photographs, and impressions of your teeth for use in fabricating models that demonstrate how they fit together. If your dentist determines that you are a candidate for Six Month Smiles orthodontic correction, these models will be used by the Six Month Smiles laboratory to calculate the precision tooth movement necessary to achieve the desired straightening effects on your front teeth, as well as where the clear brackets and tooth-colored wires should be placed. 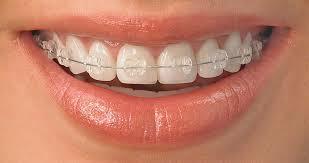 At your next appointment, you will be fitted with the clear brackets and tooth-colored arch wires. Your dentist will fuse the brackets to your teeth by applying bonding adhesive to the enamel surface of your front teeth, as well as to the brackets. The brackets come precisely positioned inside a custom-fabricated tray that enables your dentist to place them exactly where they need to be on your teeth. After the initial placement appointment, you will visit your dentist every four to five weeks for adjustments and tightening of the arch wires until your treatment is complete. These adjustment appointments should last only about 10 to 15 minutes. 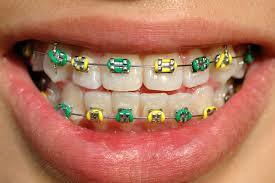 Once your treatment is complete, the brackets and wires are removed. Six Month Smiles treatment averages six months, but some case may require as few as four months or as many as nine months. Your dentist will determine how many months will be required to achieve your desired results. When Six Month Smiles braces are in place, it is important to maintain proper oral hygiene and avoid certain foods. Inadequate brushing may lead to enamel damage, so it is very important to brush at least three times a day. Many orthodontists suggest carrying a toothbrush with you so that you may brush your teeth after lunch while at work. Interdental brushes and a water pik should be used to clean underneath the dental arch wires for even better oral hygiene. Fluoride mouth rinses also are recommended to maintain the underlying enamel and tooth structure. Orthodontists also suggest diets which avoid sticky foods, since they can become stuck under the braces and possibly cause detachment. Hard foods and candy also should be avoided as they may break the bond between the brackets and the enamel, or possibly the braces themselves. Foods such as apples should be cut into pieces to avoid damaging the dental braces. Avoid foods and drinks with high sugar and acid content, since they make oral hygiene much more difficult and could lead to enamel damage. When Six Month Smiles braces are first placed and then later adjusted, you can expect to feel some tightness, which typically progresses to soreness, for approximately four to six hours after your appointment. This is a direct result of arch wires tightening the teeth into position. Over-the-counter (OTC) pain relievers are recommended to help manage any pain. You can expect the soreness to decrease in about three to five days. However, because Six Month Smiles uses low force movement, any soreness is expected to be less pronounced than with traditional braces. Once your treatment is complete and your braces removed, you will need to wear a removable retainer at night, or a permanent retainer on the back of your teeth to ensure that they do not move back to their original position (relapse). Six Month Smiles vs. 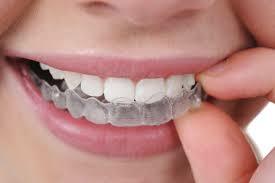 Traditional Orthodontic Correction? 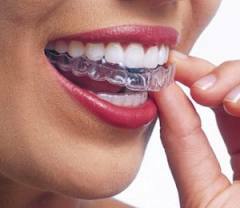 While traditional orthodontic correction requires two years to complete, Six Month Smiles treatment requires only six months because treatment focuses on using low-force movement to correct only anterior spacing and alignment issues that affect the cosmetic appearance of the smile; it does not correct complex bite or malocclusion problems. However, similar to traditional bracket and wire braces, Six Month Smiles requires dentists to bond brackets to the front enamel surface of the teeth, then attach arch wires to those brackets. What distinguishes the Six Month Smiles placement appointment from that of traditional braces is the use of custom-fabricated trays (which resemble teeth whitening trays) that enable your dentist to precisely position the clear brackets for bonding. These trays, which are fitted with the clear brackets already positioned in the correct location, are fabricated at the Six Month Smiles laboratory based on models of your teeth that your dentist creates from the impressions taken during your consultation appointment. The Six Month Smiles braces system also provides your dentist with the appropriate tooth-colored wires and ties necessary to produce the low force tooth movement to achieve your desired treatment results. Who Performs Six Month Smiles Orthodontic Correction? General dentists and orthodontists who provide Six Month Smiles orthodontic correction must undergo specialized training by the manufacturer before performing Six Month Smile treatments. These training programs provide dentists with the thorough knowledge and skills required to perform short term orthodontics, with an emphasis on case selection and treatment planning.